Joseph Swedish is retiring from his post as CEO of Anthem, the second-largest health insurer in the nation. He will be succeeded by Gail Boudreaux, the former CEO of UnitedHealth Group's insurance arm. Boudreaux will become Anthem CEO and president and a member of the company's board of directors on Nov. 20. "The Anthem board is confident Gail will draw from her extensive experience to deliver strong operating performance, excellent financial results and a laser focus on customer experience and shareholder value," George Schaefer Jr., lead independent director of the company's board, said in a statement. The leadership shift has been in the works for a year, Swedish told Modern Healthcare. 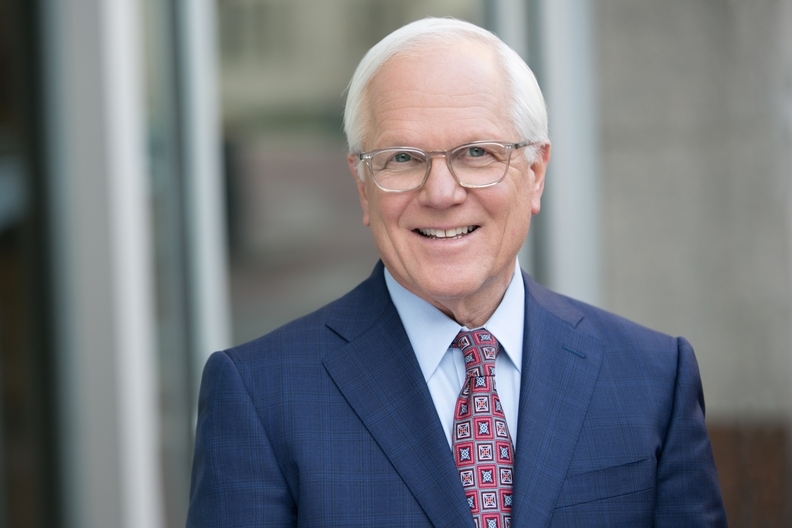 He will continue as executive chairman until May 2018, and then serve as a senior advisor to Anthem until May 2020, the company announced Monday. Swedish's career in healthcare spans more than four decades. He has worked for Indianapolis-based Anthem, a licensee of the Blue Cross and Blue Shield Association, since 2013 when he replaced Angela Braly as president and CEO. He became chairman in 2015. Before Anthem, Swedish was CEO of Livonia, Mich.-based Catholic hospital system Trinity Health, an office he took in 2004. During his tenure, Swedish saw Anthem's annual revenue balloon from $71 billion in 2013 to $84.9 billion in 2016. Anthem serves about 40 million members in 14 states. He led the insurer in its effort to acquire rival insurer Cigna Corp. in a deal valued at $54.2 billion. The contentious tie-up was ultimately abandoned after being challenged by the U.S. Justice Department for threatening to harm competition. Anthem last month announced the formation of its own pharmacy benefit manager, IngenioRx, in the wake of its fallout with long-term PBM partner Express Scripts. Swedish is also responsible for changing WellPoint's name to Anthem in 2014. Anthem began as WellPoint in 2004 as the result of a merger between WellPoint Health Networks and Anthem. Swedish made $16.5 million in total compensation in 2016, according to documents filed with the Securities and Exchange Commission. "Joe has reinvigorated the company's culture, built a strategic growth platform, and put Anthem on track to realize our vision of being America's valued health partner," Schaefer said.